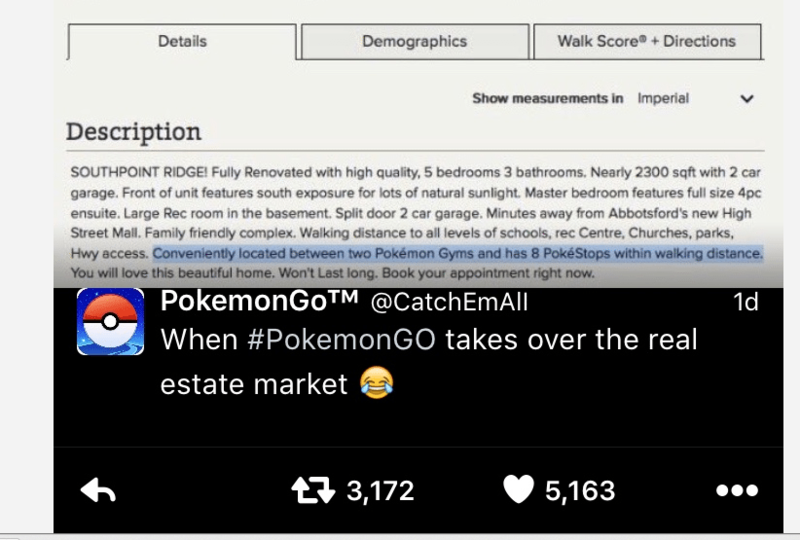 Pokémon Go is EVERYWHERE — That leaves an angle for many Realtors to Capitalize on ! 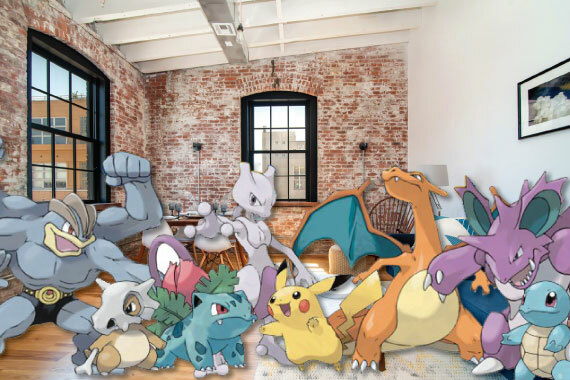 Pokémon was an anime cartoon from the late 90’s that has recently resurfaced with a new augmented reality game called Pokémon Go. 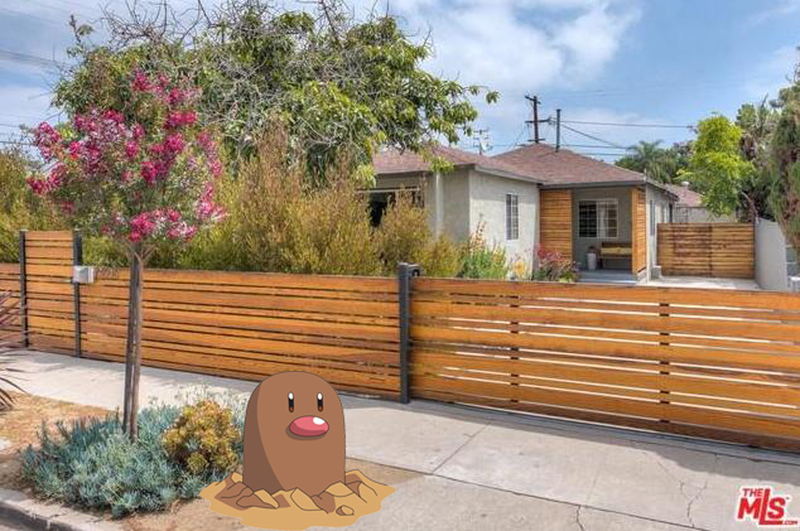 The game brings the world to life, and allows players to catch elusive Pokémon everywhere – in their house, backyard, and many public places, neighborhoods, parks, stores, etc. 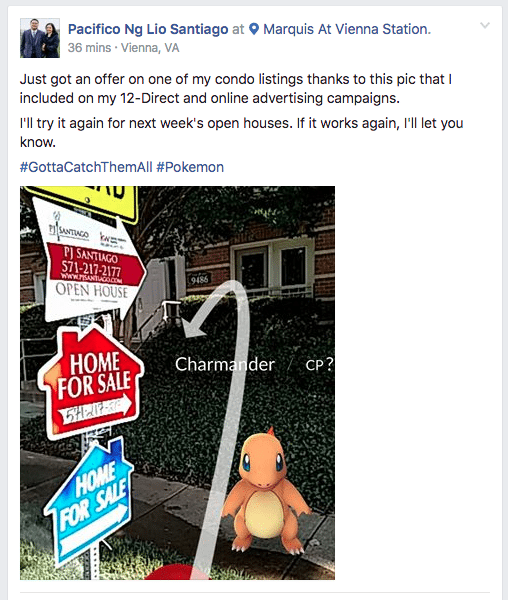 Some agents have caught on to the popularity and are using it to their advantage. How so? 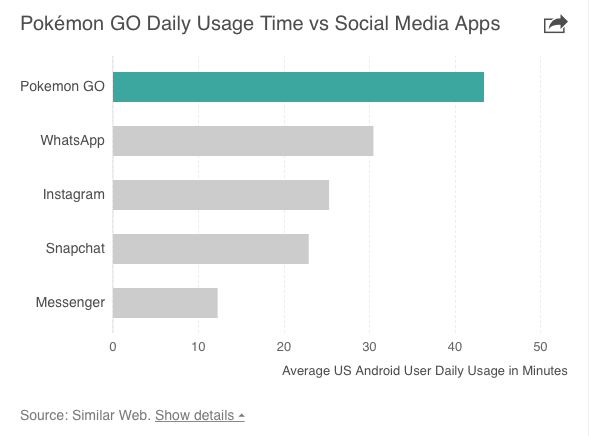 Pokémon Go is available for FREE and on almost any cell-phone devise. 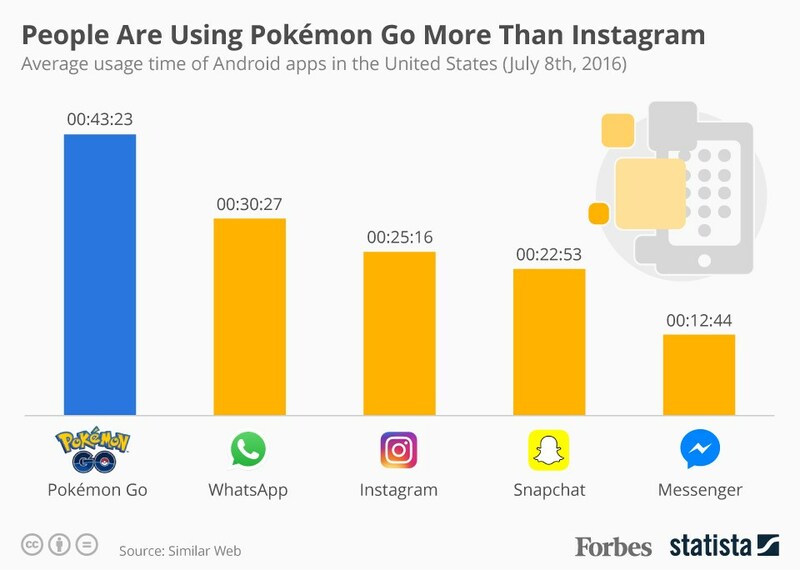 Users are OBSESSED and the app has quickly skyrocketed to the top social media app over Instagram and Snapchat. 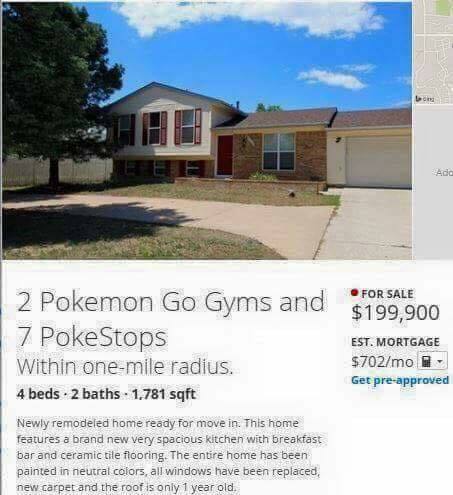 Not only has the game caused some concern for safety, but many locations that are tagged as Pokémon Gyms have created an onslaught of unwanted gamers flocking to their property. 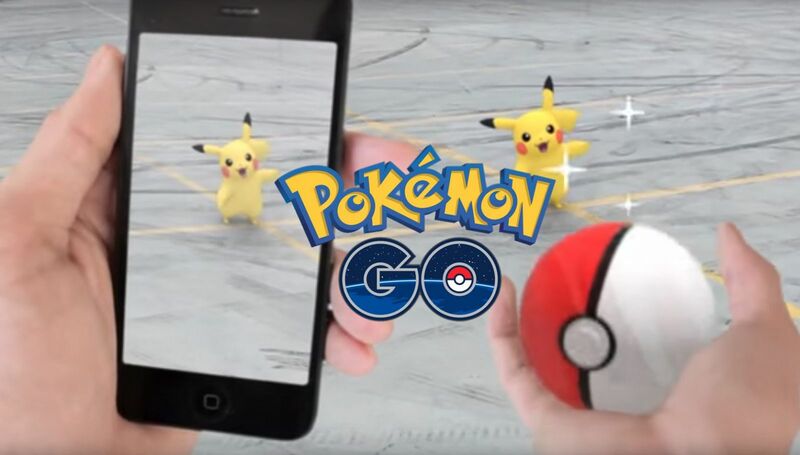 Social Media and Print ads should be carefully assessed as their is a possibility of copyright infringement violations that come with a $150,000 fine. 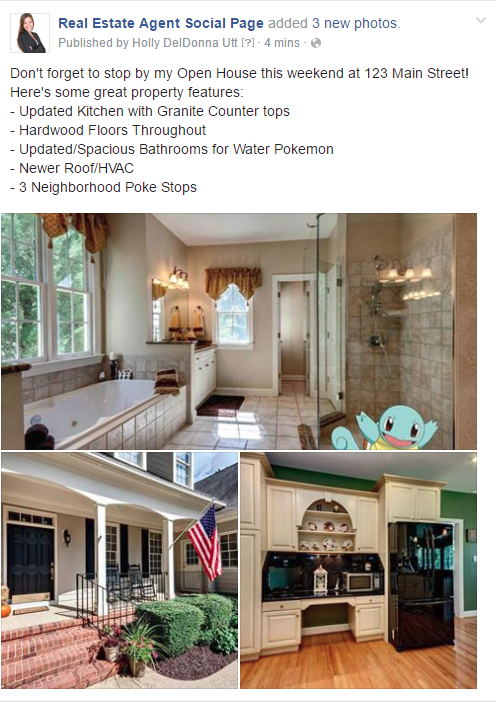 Interesting how pop culture can sweep the nation so quickly and even have an influence on unrelated markets such as Real Estate.